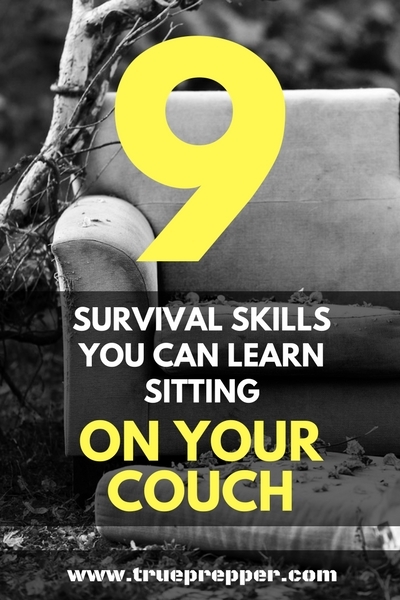 Knots are about the easiest survival skill you can teach yourself on the couch. Pull up Grog’s Animated Knots and watch a few of the basic knot animations, and then just try them with some paracord or your shoelaces. 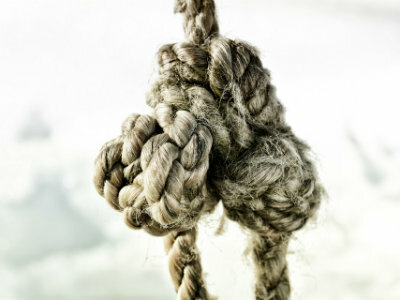 Once you have those mastered down to muscle memory, try a few of the more advanced knots found in the other sections. Speaking multiple languages is very useful everyday, but it can also be for survival reasons. Being able to communicate with more people in an emergency is a great skill to have in your pocket. It is tough learning another language, and takes a long time to master, but even simple words and phrases can be useful in a disaster. You may also find it helps during every day activities, and it can even give you a leg up at your work place. Picking locks can get you into safe places, help you find useful resources, and maybe most importantly, help you understand how to prevent your own locks from being picked. If you have never picked a lock before, grab a clear lock and start fiddling with it in your free time. They are pretty easy to figure out, and then you can go for speed. Once you’ve mastered the clear lock, try a keyed padlock that isn’t clear. Once you master a padlock, you can move on to experimenting with deadbolts. Grab a stick and knife and start making something. Whether you are making something practical, a piece of art, or practicing feathering wood- you can get some good hands-on time while you are on the couch. Both whittling and bushcraft are skills best learned by actually doing them and practicing often. Knowing how to make a net in the wilderness with just rope or string can be a huge help. Sure, you’ll look like an old lady knitting some socks, but the hands on experience could be invaluable when SHTF. You can then use nets to set traps, as gill or drag nets for fishing, to carry stuff, or as a hammock. Learning how to identify plants is best done in the woods, but books and online sites have a large number of pictures these days. A Peterson Field Guide is a low priced way to learn the plants around you that are edible. Before you go around and start snacking on the stuff growing around your house, you still may want to check with somebody a little more experienced..
Just like learning plants, there are several resources on how to identify the different types of fungus in the wild. The National Audubon Society Field Guide to North American Mushrooms may be just the book to crack open on the couch and start learning. I am more of a hands-on learner and haven’t had much success learning wildlife, plants, or fungus from the couch, but some are able to learn this type of stuff like a sponge. Either way, learning some skills from a book is better than most programs on TV these days. Right after I get done talking about how TV programs are worse than a fungus book, I’m going to suggest you turn it on. Fire up the television set and check out some of the survival shows that are running these days. Alone, Dual Survival, and anything with Ray Mears are a few that I linger on while flipping the channels. My family usually finds the situations they find themselves in interesting, and I almost always learn something new- or what not to do. There are plenty of great books out there, and there is no shortage on fiction focused on surviving catastrophes. There are even a few good free collections that you can find on Amazon. Be sure to grab them while they are still free, because they often don’t stay that way for long. Also, check out our take on One Second After, a novel that sets the bar as far as we’re concerned. Survival skills don’t have to be learned standing up. Try learning a few while you are winding down at night, or while your significant other is watching that TV show you don’t care for. Prepping and learning doesn’t have to be hard, and using your down time is a great way to learn skills you might not otherwise have taken the time to learn. Knowledge is power, and you are never too old to learn. 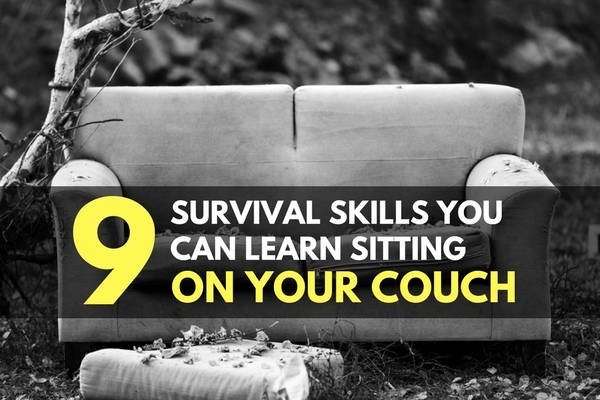 Let us know in the comments the ways you improve your survival skills on the couch. Keep exploring, stay prepared, and be safe. It’s just a matter of thinking by doing. Nice post!